Using iTunes on computer at night can cause eyestrains and insomnia especially if the screen brightness is high. Some of us who are DJs, Music Producers, or VJs use iTunes for Windows or Mac to play music all night long, and constant look at the screen light confuses our brains that it’s still daytime. We really need a way to manage our eyes even as we work or use iTunes in the late hours of the night. Nevertheless, the existing settings in iTunes let us darken the menu bar, but the new macOS Mojave will extend this feature to the entire Mac and iTunes interface, and this new feature is called iTunes Dark Mode. Part 1: What is iTunes Dark Mode? Part 2: What If iTunes Cannot Work Normally in Dark Mode? What is iTunes Dark Mode? In macOS Mojave’s Dark Mode, most of your operating system’s bright features will go dark of gray. This includes features like the dock, trashcan, menu bar, and system panel. Some macOS Mojave apps will also share in this feature, and such apps include iTunes, Safari, App Store, News, etc. Therefore, with iTunes Dark Mode, using iTunes at late hours of the night won’t have much strain on the eyes. It will be very handy for those who play songs with iTunes for lengthy periods, and at late hours of the night. 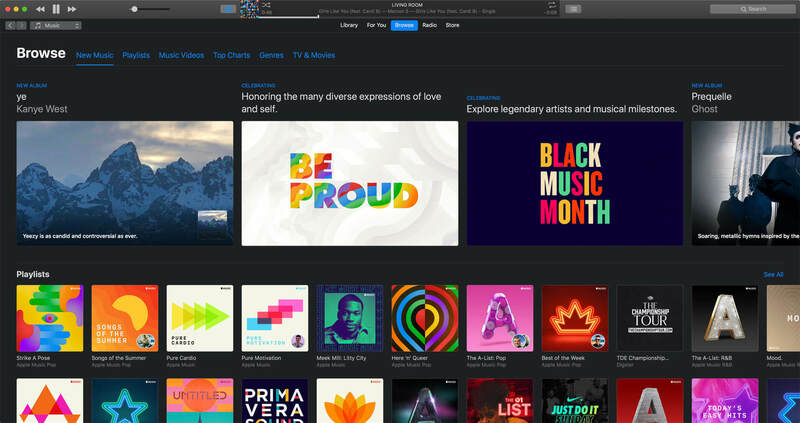 If you’ve been waiting so long for iTunes dark mode, which would come with macOS Mojave on September 24, then it will be awesome if you can learn how to use/enable iTunes dark mode on Mac or PC before the official release date Mac’s next operating system. Apple Inc. has finally added Dark Mode to macOS Mojave. This feature will cut across all Mac features and software to dim many of the screen elements from their usual blinding white to soothing dark tone. Step 1. If you skip past the prompt to set up dark mode when installing macOS Mojave, then click the Apple logo at the top left corner of your window. Step 2. Select “System Preferences > General”. Step 3. Under Appearance menu, select the Dark Mode preview. The dark mode preview will show you the levels of dark background that’s available. However, if you want to have dark mode only at night, you can go for Dynamic Desktop option to achieve that. Step 1. Go to “System Preferences > Desktop & Screen Saver”. Step 2. Select a desktop with a curvy icon on it; that’s a dynamic desktop. macOS Mojave now has a dark mode, but Windows 10 users have been enjoying this feature for quite a time now. Windows’ built-in dark mode turns windows black and changes the text and icon to light colors. On Windows, you can activate dark mode just with few steps, and we’ve outlined the steps in the following paragraphs. Step 1. Search for “Settings” on the Windows 10 search bar and launch it. Step 2. Click “Personalization”. This feature will display a paintbrush on the computer screen. Step 3. Click “Colors > Choose your app mode > Dark > and check the bubbles beside the dark”. Step 4. Pick an accent color at the top of the “Color” window. When next you open iTunes, you’ll notice that this feature has been applied to iTunes. What If iTunes Cannot Work Normally in Dark Mode? There are situations when iTunes may not work normally in dark mode, or iTunes dark mode keeps resetting to normal mode, then you need to repair or fix iTunes using an iTunes repairer software called iMyFone TunesFix. iMyFone TunesFix would ensure that all iTunes problems and issues that may be causing iTunes to keep resetting to normal mode are fixed permanently. 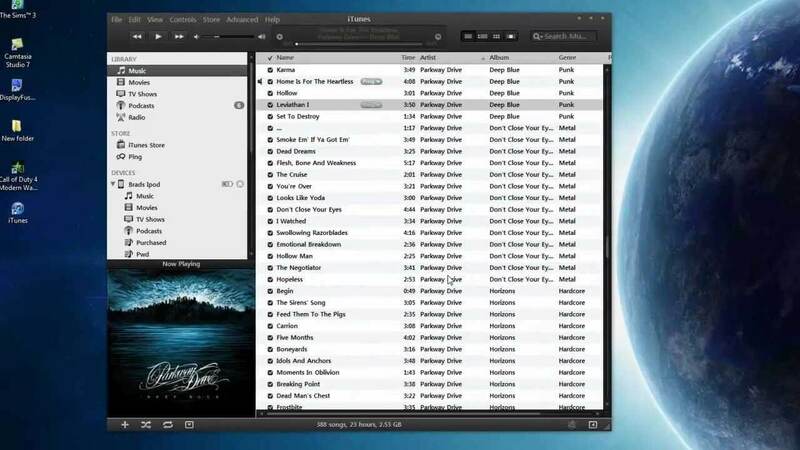 More so, if iTunes stops working after you’ve activated dark mode on your Windows or Mac PC, then use TunesFix to fix it. 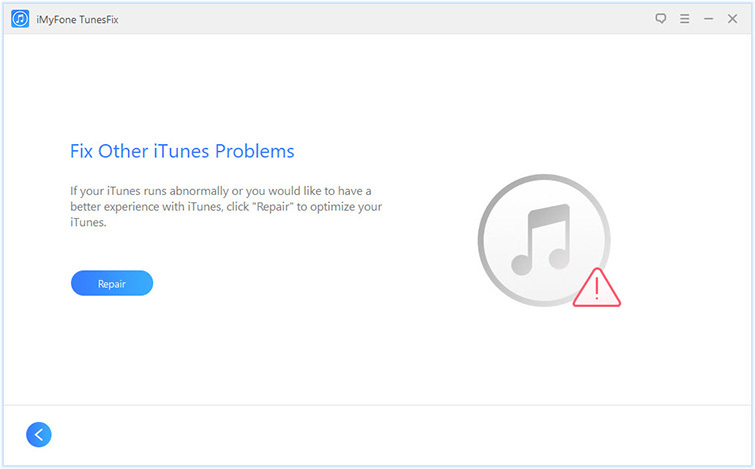 TunesFix can help repair iTunes when it keeps resetting to normal mode. TunesFix can take care of all iTunes issues and errors. All iTunes junk files, redundant files, and old backups can be erased using TunesFix to keep iTunes at its top performance and recover PC storage space. TunesFix supports all versions of iTunes. Step 1. Download iMyFone TunesFix, then install it on your PC. Step 2. 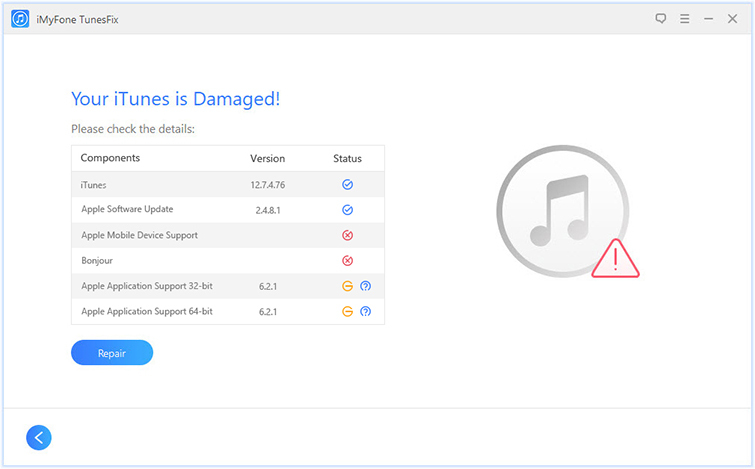 Launch the software, it will detect if there is issue with your iTunes automatically. Step 3. Click “Fix Other iTunes Problems” mode and then the "Repair" button to fix your iTunes. To ensure that iTunes runs optimally in Dark Mode, we implore you to download and install TunesFix now.